The German company for data cables and electronic components MD Elektronik celebrated the symbolic start of construction of its first factory in Bulgaria, which will be built by the Bulgarian construction-investment company “Horizont-Ivanov”. The Deputy Prime Minister for Economic and Demographic Policy Mariana Nikolova, the Mayor of Vratsa Kalin Kamenov, the Executive Director of Invest Bulgaria Agency Stamen Yanev, Members of the Board of MD Elektronik Robert Hoffman and Ctibor Žižka, representatives of the contractor “Horizont-Ivanov” Borislav Ivanov and Svetoslav Bogalinski, the Regional Governor of Vratsa Malina Nikolova, the President of the Bulgarian Chamber of Commerce and Industry Tsvetan Simeonov, the Counsellor for Economic Affairs at the German Embassy in Sofia Hubertus Klink, municipal councilors and many other guests from the world of politics and business attended the official groundbreaking ceremony. The President of BCCI Tsvetan Simeonov talked with the CEO of MD Elektronik Robert Hoffman, who assured him that the newest generation of production machines will be used, just like the ones used in Western Europe, and that the plant will meet the latest requirements of the automotive industry. Tsvetan Simeonov declared that BCCI is ready to support the company in all its efforts – both with its regional, and with its national structures, for the faster construction and commissioning of the plant. The plant of MD Elektronik is expected to be fully completed by 2020. Production will start the following year and will create approximately 300 new jobs. Bulgarian Deputy Prime Minister Mariana Nikolova said that with regard to Northwest Bulgaria “targeted work is being done to renovate and create an infrastructure that will provide the necessary connectivity.” “The decision of the German company MD Elektronik to build a plant in our country is yet another signal that we have attractive conditions and a competitive environment for investment. I am convinced that MD Elektronik is yet to receive evidence of the rightness of its strategic decision to open a plant in Bulgaria after the ones in the Czech Republic, China and Mexico”, the Deputy Prime Minister added. 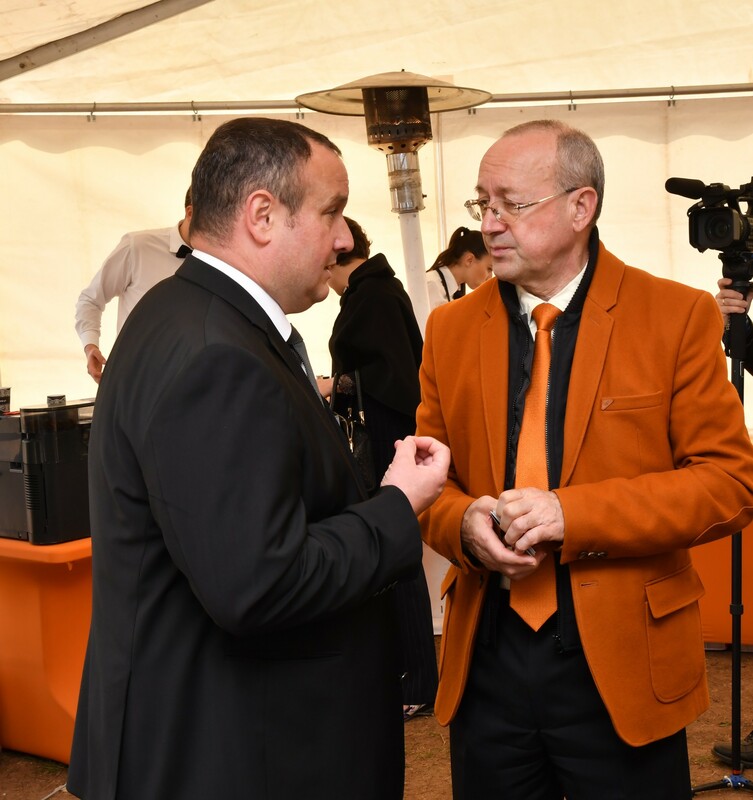 The guests were also addressed by the Mayor of Vratsa Kalin Kamenov, who handed the building permit to Robert Hoffman and announced that with this Vratsa is already on the map of the world automotive industry.